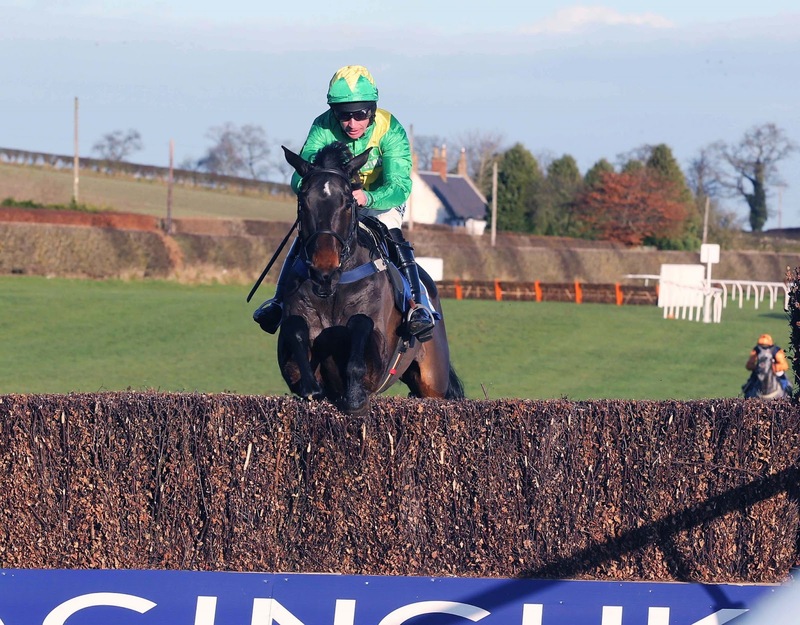 SOME top chasers and outstanding novices are among the 73 entries for the Coral Scottish Grand National at Ayr Racecourse on Saturday 20 April. Champion trainer Paul Nicholls has several entries including Rocky Creek, winner of the Reynoldstown Chase at Ascot in February, while Nigel Twiston Davies who has trained three previous winners of the race looks likely to send Same Difference, winner of the Fulke Walwyn Kim Muir Challenge Cup at Cheltenham. Big Occasion, winner of the Midlands Grand National at Uttoxeter, will represent the powerful David Pipe yard, and Donald McCain has five entries including Our Mick, runner-up in the JLT Speciality Chase at Cheltenham. Ray Anderson Green, owner of Merigo, winner in 2010 and 2012, has entered Rival D’Estruval, a faller two out in the John Oaksey Chase at Cheltenham after announcing the retirement of his grand old chaser. Rival D’Estruval heads the betting for the race at 8-1, in the sponsor’s opening show on the Ayr showpiece. Big Occasion, is one of three 12-1 co-second favourites, with the RSA Chase third, Hadrian’s Approach and Same Difference, among the runners quoted at 14-1. 8 Rival D’Estruval, 12 Big Occasion, Our Mick, Rocky Creek, 14 Always Right, Chicago Grey, Godsmejudge, Hadrian’s Approach, Houblon Des Obeaux, Quentin Collonges, Same Difference, Teaforthree, Wyck Hill, 16 Bradley, Cappa Bleu, Join Together, Monsieur Cadou, Neptune Equester, Nuts N Bolts, Soll, Well Refreshed, 20 Auroras Encore, Becauseicouldntsee, Cannington Brook, Hold On Julio, King Fontaine, Lost Glory, Mister Marker, Mr Moss, Poungach, Rare Bob, Rebeccas Choice, Rigadin De Beauchene, Roberto Goldback, Russian War, Storm Survivor, Tarquinius, White Star Line, 25 Bar.